Not sure what to buy on Black Friday? Here are our picks. With Thanksgiving, right around the corner and cold fronts moving in, it’s that time of year again. You know it well, and love to hate it. 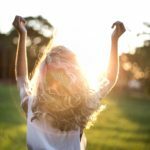 But at the end of next week, as you’re surrounded by yet another haul of clothes, accessories, electronics, and appliances, you’ll be satisfied with your Black Friday survival skills. Happy shopping, and best of luck on scoring the very best deals of the season! The first top trend we’ll be looking at is the Teddy Coat. The Teddy Coat can be seen this season in the classroom, on the streets, and even in high fashion editorials. This piece comes in a million different shapes, styles, and colors, so you’re sure to find the right one for your look. It’s warm and comfortable, yet easily layered to work with almost everything you own. This all-around coat can be worn in many ways depending on its design and your mood. The most common and basic style of teddy coat is a tan/beige, with the hem resting right above the waistline, and the fuzzy material resembling a stuffed animal or a blanket. Usually oversized for visual impact, the teddy coat goes perfectly with leggings and boots for a quick and chic 8 am class look. 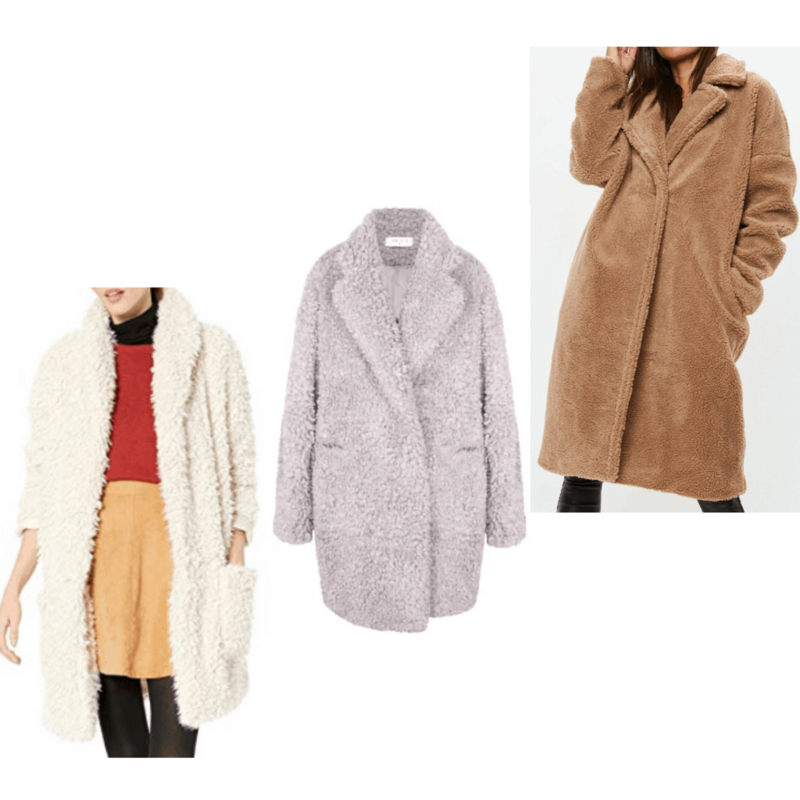 However, when paired with a cream-colored turtleneck and jeans, tall boots, and some kind of a hat, the teddy coat becomes the ideal look for shopping the hottest boutiques in style. Get your own teddy coat this holiday season, and enjoy your personal and fashion-forward warm and fuzzy blanket-turned-coat! Animal print is a fashion staple and we love to wear it as a neutral all year round! And best of all, animal print is a bona fide trend this season (don’t you love when something this classic is also trendy? ), and can be found on everything, from jewelry to bags, pajamas, shoes, jackets, pants, you name it! While animal print may be viewed at as bold or outgoing, it doesn’t have to be. Tame down the wild side by pairing one piece of animal print with a neutral color such as black, white, tan, or grey. For example, this leopard printed lace and satin camisole would pair perfectly with a pair of jeans, neutral flats, and a matching neutral colored sweater. 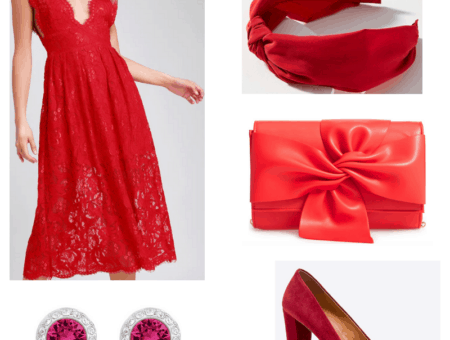 To make the print more festive for the holidays, add a red or sparkly scarf or jewelry. Boots are a must-have every time the temperature drops below 50, and a pair of black boots with an interesting detail will have you looking on-trend yet classic this season. 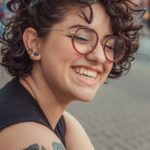 Walk like a badass, walk like a professional, or walk like you’re about to go dance to Pitbull at the club with your boots — there are thousands of styles and makes to choose from. 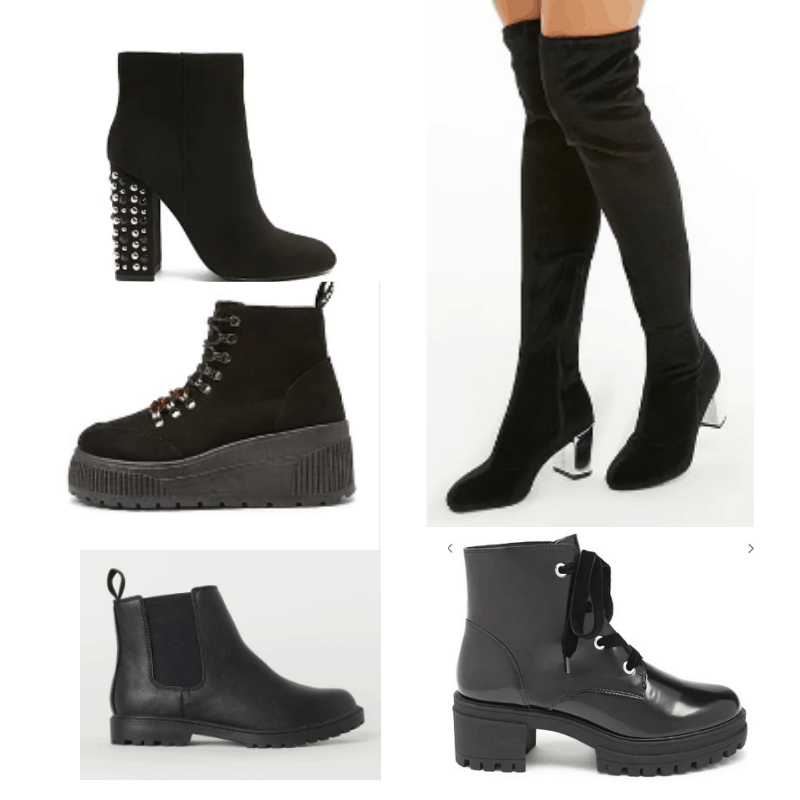 Whether you decide on short or tall (over-the-knee styles have us channeling our inner Ariana Grande), heeled or flat, and plain or decorated, there is a black boot out there calling your name, sis. In the selection I’ve put together, you have the classic plain and simple in the lower left corner, the tall and diva-appropriate in the upper right, and a mix of everything in between throughout. Pair your black boots with anything and everything, from dresses to leggings, jeans, and sweaters, you’re sure to look amazing. The last winter trend to look for this season is another popular yet more subtle trend (maybe because it blends in… dad jokes for days), Camo print. Camo has been ultra-popular since the spring, and we’ve seen it worn by celebrities ranging from Kim Kardashian to Rihanna. Pieces in this print are worth scooping up on Black Friday thanks to the versatility of the look. With the natural colors of olive and forest green combining with dark blacks, grays, and browns, this print looks good on nearly everyone and with nearly everything. To wear camo this season, check out the options above. 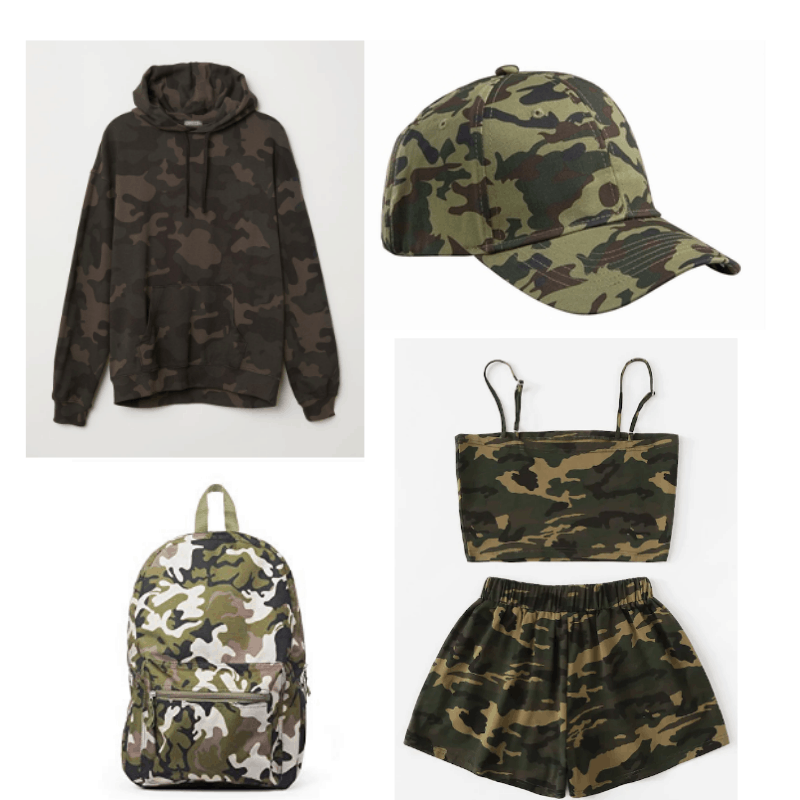 They make camo print hats, bags, sweatshirts, two pieces, sweatpants, leggings, you name it! Wear them with denim or leather (or both) and you can’t go wrong. 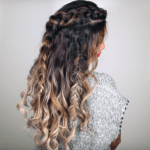 What trends are you following this season? Where will you be black Friday shopping this year? Comment below! 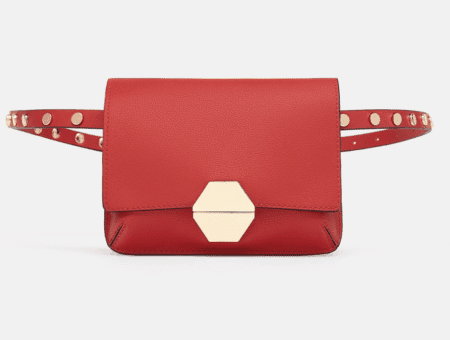 Next Coupons & Sales: 20% off at Sephora, 30% off at Forever 21, plus more!